In the overall arena of contests and endeavour, the Polkerris Biathlon doesn’t loom large. 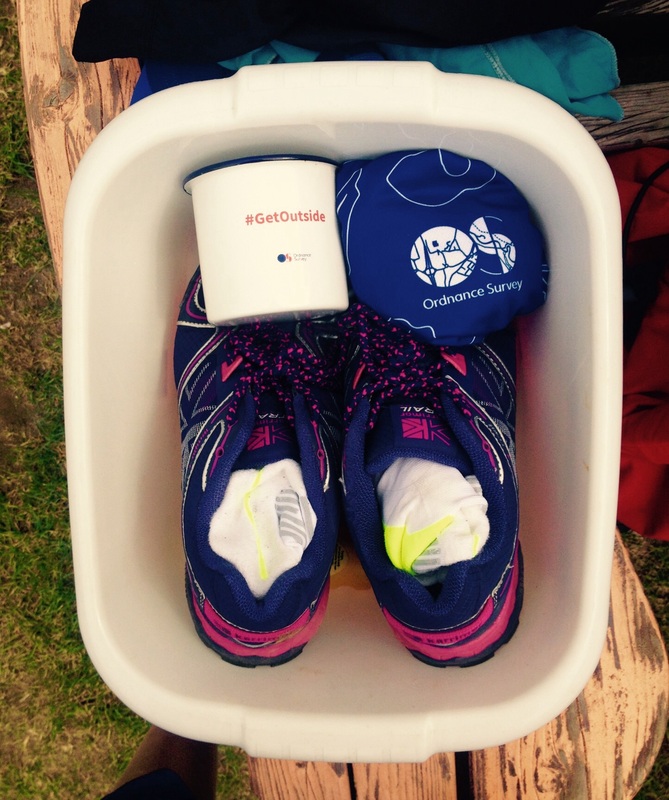 A 1.5km swim, followed by a 6km run – for some isn’t that far. But for me it was and it underlined five simple truths about why I love to GetOutside. “Are you competing?” said the guy pointing people towards registration. “No”, said my friend at the same time. “We’re taking part”. And she was right. This wasn’t about speed and race positions. Yes, we were here to challenge ourselves and step outside our comfort zones – but it was more about finishing and having fun. This is the face of someone who is really very nervous. I love sea bathing, but I’m not a speed or distance gal. 1.5km would be the furthest I’d done. At my painfully slow swimming that’s 45+ minutes in 13 degree seas (in a wetsuit). Worse still it was a blustery day with a four foot swell – from the beach it looked an awfully, awfully long way … Luckily I had two good friends to tell me I’d be fine. Could I do it? I kept wondering, eyeing a very bouncy sea. Their answer, always: “of course you can”. This is the route (marked up on OS Maps). While the swim worried me, it didn’t remotely phase my friend. While the run didn’t worry me, that was her bug bear. We could have chosen to do the event as a relay. But we wanted to help each other around. As I plugged away, horribly slowly on the swim, my buddy kept me company – encouraging, chatting, being chilled and calm. She could have swam four times as far (at least), but instead chose to help me. Eventually we made it (yay!!) and we headed onto a sometimes hilly and slippery course. It was now my turn to go a little slower than I could (note: not much slower), as we chatted our way around, taking in the views. Because of that determination to finish together – to match the pace of each other at our slowest, we came very spectacularly last. But you could also say we triumphed. 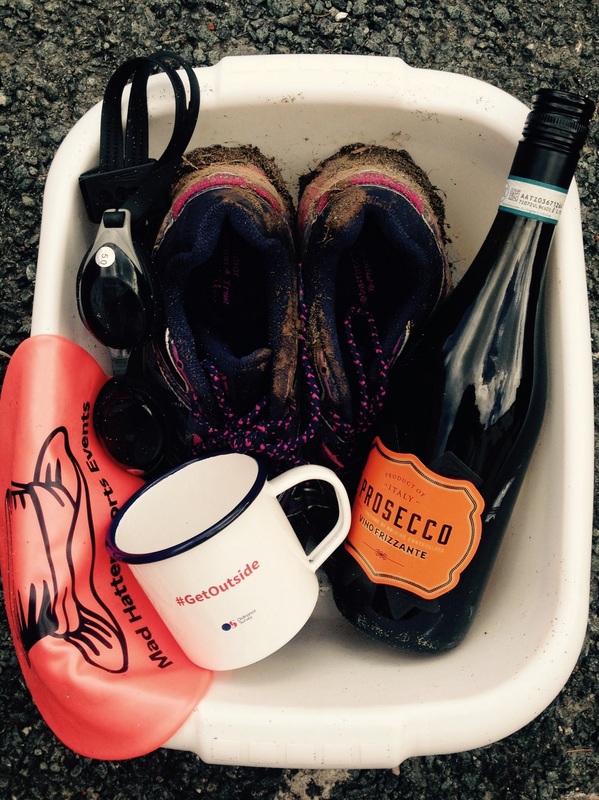 Not just because that last place – and the spirit in which it was ‘achieved’ – netted a bottle of Prosecco each. But it was a kind of triumph because we’d been bold and stepped outside our comfort zones. Because perhaps the only failure is not to try. We were there not to compete, but to complete. And we did that in fine style. The Ordnance Survey has lots of good ideas on how to GetOutside in its Beginner’s Guides section. 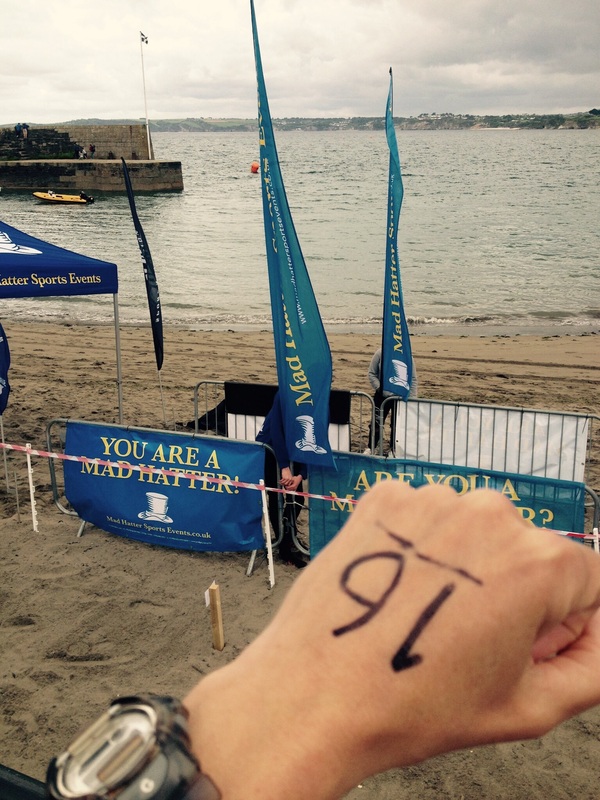 The Polkerris Biathlon was run by the excellent Mad Hatter Sports – they have plenty more events in Cornwall this summer, over a wide range of distances, for you to try.